Arsenal have released an official statement regarding the future of Arsene Wenger at the club. Wenger has come under immense scrutiny for his team’s mediocre performances this season, with several Arsenal supporters demanding the club’s board to replace the Frenchman with a more suitable and able manager at the end of the season, especially amid rumours linking Juve boss Massimiliano Allegri with a move to England. 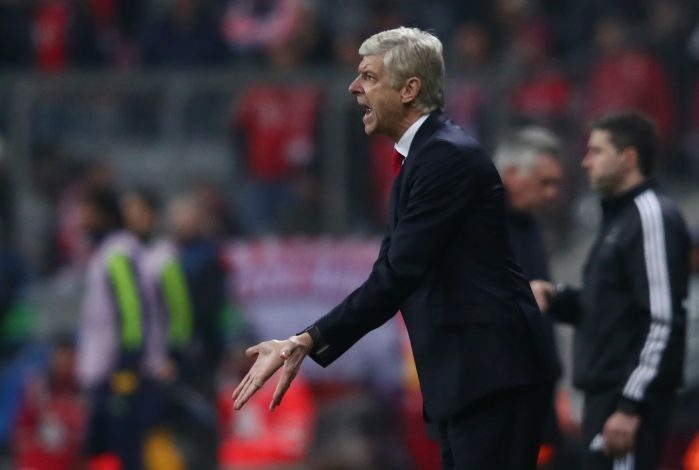 Furthermore, things only went from bad to worse following the Gunners’ humiliation at the hands of Bayern Munich in the UEFA Champions League, wherein the Bundesliga giants defeated Wenger’s men 10-2 on aggregate over the space of two legs. This horrific result on the European stage led to some full-fledged protests from the anti-Wenger brigade, due to which Arsenal have finally released an official statement from the club’s chairman himself, regarding the future of their manager. “We respect that fans are entitled to their different individual opinions but we will always run this great football club with its best long-term interests at heart. Arsenal as a club, deserves good and better Manager right no. It is the high time to let go Arsene Wenger. Please and please Arsenal board and the Chairman, football is a business and at the same time an entertainment but you board must let we fans happy by hiring another prolific Manager. Thanks!